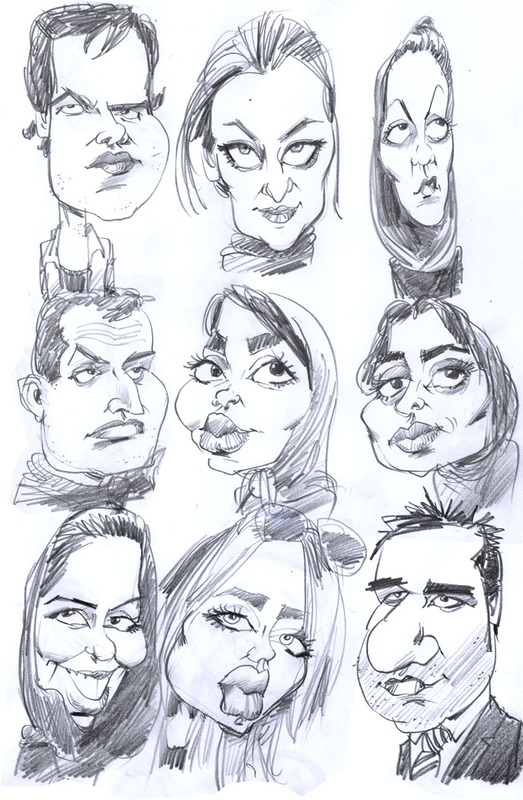 For today's 20 random caricatures I typed in "Iran Faces" (I know it should be "Iranian" but I just kept simple). Excuse my ignorance, but I expected a sea of burqas and only male faces. That wasn't the case at all. If anything there were more female faces than male and they were all wearing Hijabs - or as I later discovered, Chadors (never heard that word before and still can't tell the difference between a Hijab and a Chador).